CarGurus has 670 nationwide Volkswagen Tiguan dealers with 52,565 new car listings. Volkswagen’s Tiguan compact crossover SUV, which has been available for over a decade, received a significant redesign for 2018, so the 2019 model carries over. Even amidst strong competition, the Tiguan stands out with clean styling, ample space, and a nice interior. The Tiguan offers one engine, a 2.0-liter turbocharged 4-cylinder, that makes 184 horsepower and 221 pound-feet of torque. With front-wheel drive (FWD), the Tiguan manages 22 mpg city, 29 highway, and 25 combined. Adding all-wheel drive (AWD) drops the city and combined ratings by a single mpg. The FWD Tiguan comes standard with third-row seats, making it stand out among compact crossovers. Shoppers looking for AWD can also get the third-row seats as an option. In the three-row configuration, you have have 73.5 cubic feet of cargo space available with second and third rows folded. The Tiguan is available in S, SE, or SEL trims. The standard S gets Apple CarPlay and Android Auto, cloth seats, a sporty flat-bottom steering wheel, and a 6.5-inch infotainment touchscreen. Stepping up to the SE adds keyless ignition, dual-zone automatic climate control, a power driver’s seat, heated front seats, synthetic leather upholstery, and a larger 8.0-inch touchscreen. The range-topping SEL Premium model gets proper leather seats, a Fender stereo, rain-sensing windshield wipers, a power liftgate, and safety features like active-lane control and parking sensors. The Tiguan received a Top Safety Pick rating with the Insurance Institute for Highway Safety (IIHS) in 2017. The SE and SEL Premium get automatic emergency braking with pedestrian detection and blind-spot monitors. Adaptive cruise control comes standard on the SEL; active-lane control, parking sensors, and automatic high beams come with the SEL Premium. 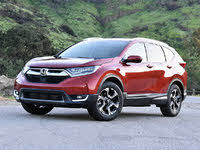 While it is comfy and handsome, the Tiguan faces stiff competition from the Honda CR-V and Toyota RAV4, which are the two reigning juggernauts of the compact crossover segment. The Nissan Rogue and Mazda CX-5 are two other appealing options, but at its price point the Tiguan is the only one that can boast European design and plenty of space. What's your take on the 2019 Volkswagen Tiguan? 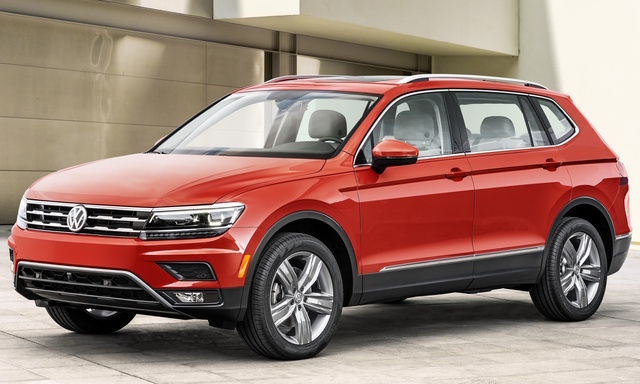 Have you driven a 2019 Volkswagen Tiguan? CarGurus has 24,227 nationwide Tiguan listings starting at $3,900.